When I came home from school today I let in a fly. Eldest huntress was on the job immediately. Kitten was sleeping and spent a few minutes blinking and trying to wake up. 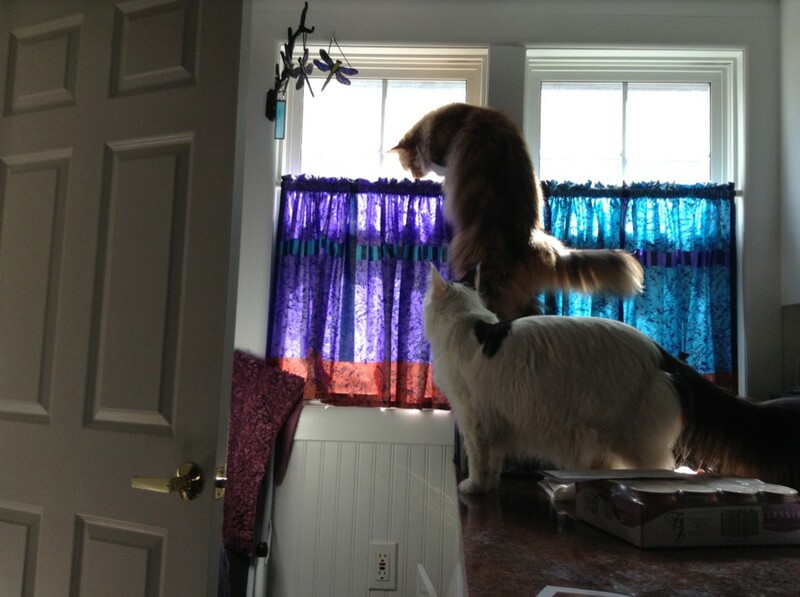 They are both now actively hunting prey. Hunting howls from Fi and squeaks from Ash. The fly will not survive. I hope the kitchen does. The girls on the hunt.